Rising majestically out of a forest of towering ponderosa pines, Devils Tower stands tall, boasting its claim as America's first national monument. With all its immensity, Devils Tower doesn't evoke an ominous or foreboding reaction from its visitors. The splendor, the color and the docile surroundings leave all that view it with a peaceful feeling. Devils Tower, The Story Behind the Scenery, offers a unique, interpretive view of this monolith and the natural world surrounding its rise out of the Wyoming landscape. This beautiful mystery tower is a source of excitement and activity to climbers, geologists, storytellers and visitors from around the world. 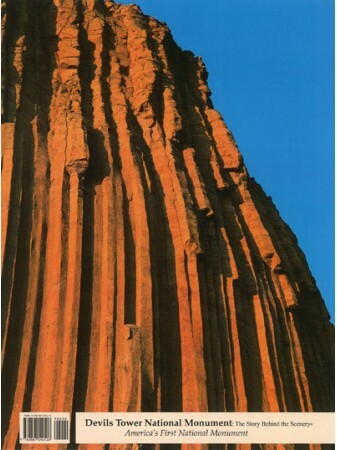 A symbol held in reverence by Native Americans, a structure that captured the imagination of an American president and a source of challenge and achievement to the world's rock climbers, Devils Tower offers a spectacle that elicits feelings of awe and astonishment from all its visitors. 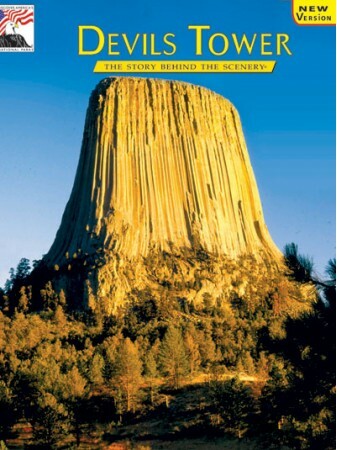 The Story Behind the Scenery is a celebration of the relationship between man and natural world marked so vividly by Devils Tower National Monument.